Few failed Sandhurst cadets would have caught the personal attention of Queen Victoria, even if they died as tragically young as the real life subject of this fascinating novel. Prince Alamayu was the son of the Emperor of Abyssinia and, as the only heir, might himself have been an Emperor. Instead, carried off as a child by the victorious British, along with all the more usual imperial plunder from the mountain fortress of Magdala, on whose lower slopes his father had died in battle, Alamayu was brought up as a middle class English boy, attending Rugby before Sandhurst. When he first came to England, he lived for a time on the Isle of Wight and there was introduced to the Queen at Osborne House. She seems to have followed his youthful progress at a distance with interest and affection; and, when he died of tuberculosis, not long after leaving Sandhurst, wrote perceptively: ‘It is too sad. All alone in a strange country, without seeing a person or a relative belonging to him, so young and so good.’ This estrangement is at the heart of the novel as Alamayu, on his feverish sick bed at Rugby, relives his childhood and remembers his parents, the coming of the British and his first years in Britain. 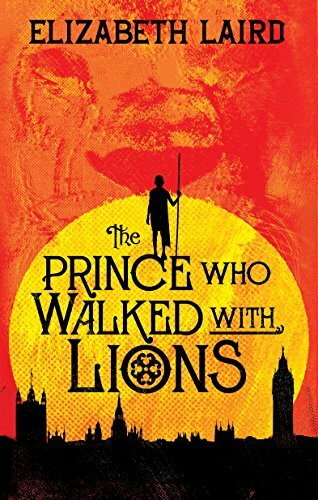 Laird is at her best (and that is very good indeed) as the teenage Alamayu recalls the downfall of his dynasty and his younger displaced self: part proud prince, part lost child. The second part of the book, which is about Alamayu’s life at Rugby, is less interesting, perhaps because it is a rather too familiar story of being an outsider, friendship and bullying. Yet, this affecting novel, told in the clear, quiet, entirely convincing, voice of someone who no longer knows who he is or what he will be, tells us something about the gains and losses of living between cultures and about the curious nature of British imperialism: its fascination with other ways of life, its sense of fair play, its arrogance – the unchallengeable assumption that British is best – and its deviousness in defending its own interests. That’s a lot for a book which can be read by a ten-year-old. Victorian illustrations and photographs complement the sense of the time unobtrusively evoked by the text.